The mere mention of her name conjures up a million dazzling images—flickers of light that capture the incandescent glamour of arguably Hollywood’s greatest icon. The legend of Marilyn Monroe continues to fascinate us decades after she first entranced audiences. 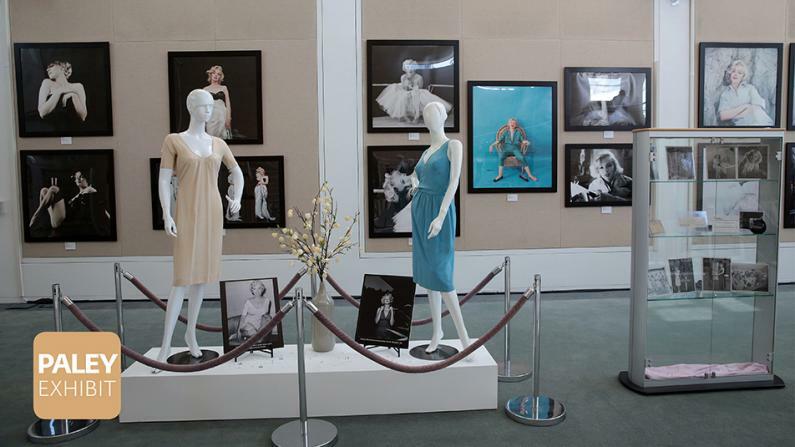 "It’s hard not to be dazzled by the iconic costumes and oversized Milton Greene photos of Marilyn Monroe at the “Essentially Marilyn: The Exhibit” on display at The Paley Center for Media in Beverly Hills." In celebration of her enduring artistic legacy, the Paley Center is proud to showcase a new exhibit, presented by Profiles in History, featuring an extraordinary private archive of Monroe treasures including signature costumes from her films Gentlemen Prefer Blondes, The Prince and the Showgirl, and How to Marry a Millionaire, personal artifacts such as her heavily hand-annotated script from 1955’s The Seven Year Itch (providing a unique window into her artistic process), wardrobe pieces, and much more. 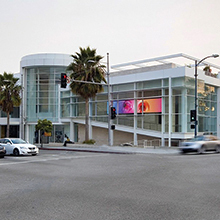 The exhibit is framed by beautiful large-format photographs of Monroe captured by her friend, famed fashion and celebrity photographer Milton H. Greene, and unique historic video from the Paley Archive chronicling the icon’s contributions to television.